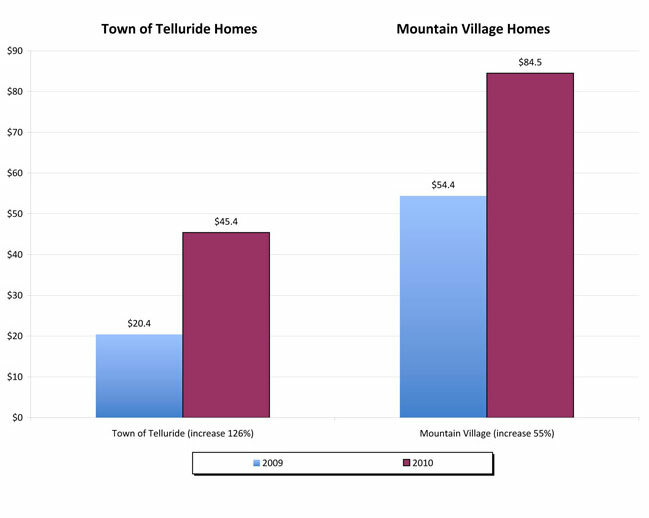 Year end gross dollar sales in the Telluride Region during 2010 performed 20% above 2009. Sales of $317.6M paced at 92.5% of 2008 which was the partial year of sales production not negatively influenced by the current recession. Numbers of transactions increased 18% and the average price per incident remained stable indicating a stabilizing in value across all market categories. 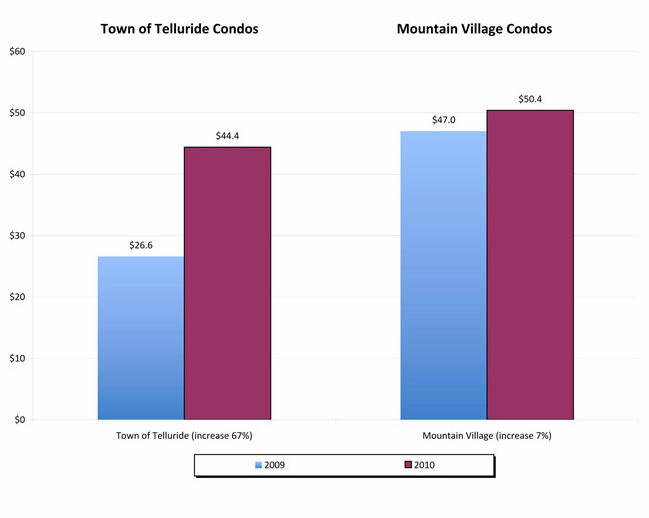 This data seems to indicate a strong renewed interest in investment in the Telluride lifestyle with its limited, high quality inventory. As mentioned in prior market updates, the catalyst for stronger sales has been a willingness by some sellers to accept price levels 20% - 30% below the market highs of 2007. Those sellers are not necessarily in "must sell" situations, but are often times seeking liquidity for alternative investments. Investors are gravitating to discounted "Grade A" properties, and seem to be avoiding the limited number of problematic foreclosure and short sale scenarios in the region. Incidents of sales through June of 2011 showed an 43% increase in transactions while dollar volume dropped from $168.6M to $114.8M. The latter stat can largely be explained due to the sale of a few higher priced properties during the first 6 months of 2010. One must remember that in this relatively small marketplace, a limited number of high dollar transactions can skew market data dramatically. For example, three recent sales / contracts within the last 30 days totaling $15.2M will lessen the “year to date gap” in sales volume by nearly 30%. During the past 60 days, inquiry levels have risen dramatically, as corporate profits reached record levels and energy companies realize windfall profits. Colorado resorts are realizing a broadening of global clientele as emerging markets boom and sophisticated investors look to purchase real estate as a hedge against long term inflation. Many luxury, primary home markets are thriving in such areas as Dallas, Houston, Southern California, Manhattan and San Francisco. There are many similarities in those markets, namely buyer profiles, which is a precursor to those buyers entering the Telluride market. Another strong indicator of a possible resurgence of the upper end market is the dramatic increase of upscale residences in Aspen. Typically, the Telluride market follows suit with an uptick in sales in Aspen. A recent article (7/6/11 Aspen Times) noted the closure of 14 homes closed in excess of $10M with three additional residences under contract at that price level. That stat is only one sale less than Aspen’s all time record with one half year remaining. The overall Aspen market is up 51% in transactions and 44% in dollar volume for the first half of this year over 2010.